2.0 in 3D movie box office collection: 2.0 has been Breaking box office records since its release. 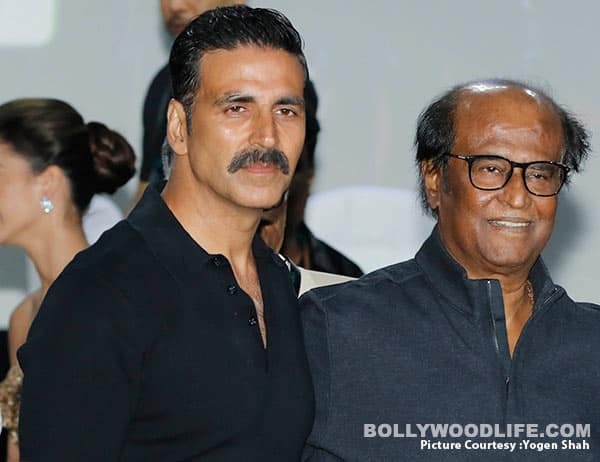 The film stars Rajinikanth, Akshay Kumar and Amy Jackson in lead roles. Rajnikanth starrer 2.0 has had a smashing opening weekend. The film has earned Rs 400 crore worldwide. Akshay Kumar’s first movie to cross 400 crore worldwide in 4 days and 5th day movie collects 80 crore its total to be 480 crore Worldwide. Beats the all movie records in 5 days. The Story line, Script, music, VFX Acting is superb in a movie. Totally mixture of Entertainment in the movie. The box office numbers were shared by trade analyst Ramesh Bala on Twitter. 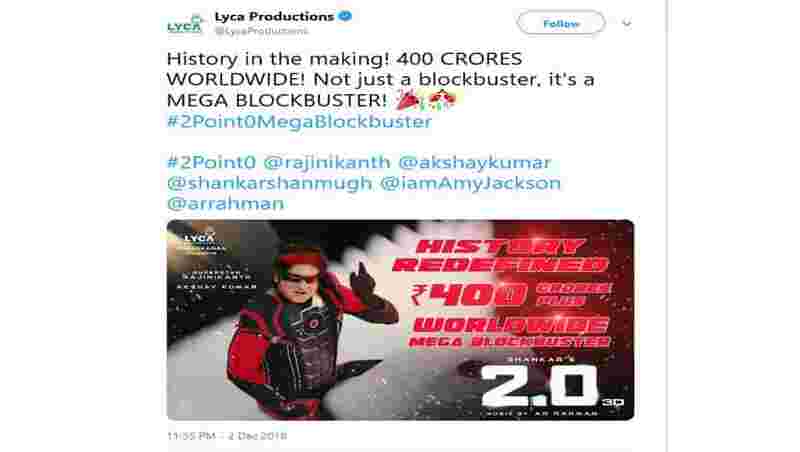 He mentioned in a tweet, #2Point0 is the No.1 Movie in the World for the Nov 29th – Dec 2nd Weekend with 400 Crs [57.14 M] Gross WW. 2.0, which stars Akshay Kumar in the antagonist’s role, has also become the highest grossing south Indian movie in the US. It has surpassed the lifetime numbers of Rangatsthalam in just four days of its release. 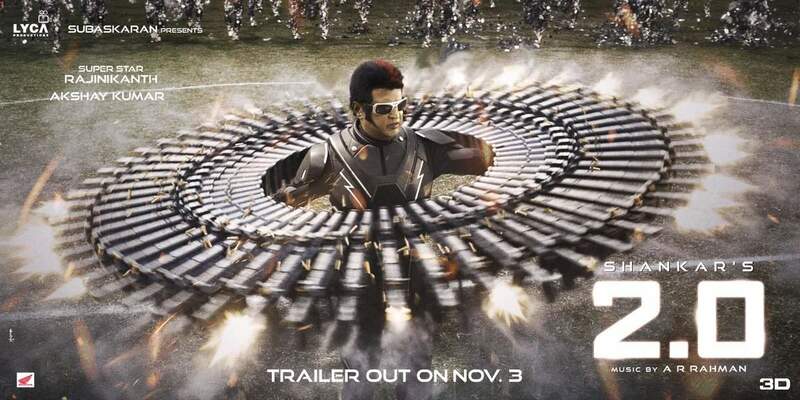 2point0 is the No.1 Movie in the World for the Nov 29th – Dec 2nd Weekend.. The Shankar directorial is also one of the top five all-time highest grossing south Indian films at the US box office. While the chart is still dominated by Baahubali and Baahubali 2, 2.0, which released on November 29 worldwide, stands at the fourth position followed by Rangasthalam. 2.O is the highest grssing collection of the Year. The film, which brought Akshay Kumar and Rajinikanth together on the screen for the first time, also starred Amy Jackson in pivotal role. The film received a grand opening of Rs 80 crore while the Hindi version of the film collected Rs 20.25 crore alone as its first day box office collection. On its second day (Friday) the film grossed Rs 27 crore from Tamil and Telugu box office and 17.5 crore from Hindi. On its third day (Saturday) the film showed growth in terms of earnings and collected 31.5 crore from Tamil and Telugu box office while the Hindi version raked Rs 24 crore. The film is ruling the domestic box office since its release, but this is not all as the film is doing also generating good profit from the overseas market. 2.0 showed a massive growth on its fourth day (Sunday) in terms of earnings as compared to Saturday. The film has crossed the mark of Rs 300 crore worldwide. The film has made it into the Rs 300 crore club by the end of its first weekend. The film has successfully ended its first weekend on a high note. The film is expected to continue its massive success at the box office in the upcoming days. The the total worldwide box office collection of Rs 300 within its first weekend. The film has become one of the biggest hit of 2018. The movie is totally “PAISA VASUL FILM” of the Year. Go and Watch the movie.